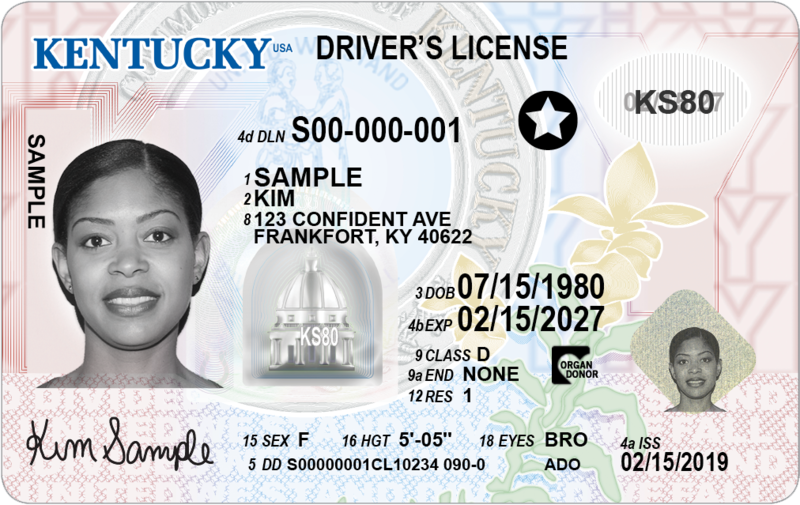 Newly designed Kentucky driver’s licenses will begin going out to drivers in January. The most striking difference in the new design is a grayscale photo of the subject, replacing the color photo from years past. The card will include an image of the state Capitol dome and background ink color that is harder to duplicate. Photos will be laser engraved and will more clearly display facial features "without the distraction of color," transportation officials said in a release. The new card will also be more durable. 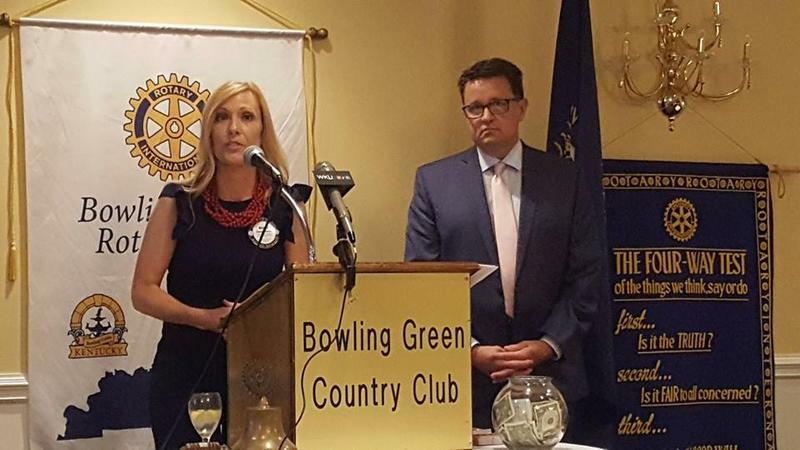 Henderson said those elements will make the cards more secure against fraud and counterfeiters. Beginning in January, the state will offer two kinds of driver's licenses: a voluntary travel ID, which will be valid for boarding a plane or entering a military base, and a standard ID which is not. People can only have one. Some county clerks said offering different ID cards could cause some confusion when users go to get a renewal. Jefferson County Clerk David Nicholson, who attended a news conference at the Louisville International Airport Monday, said he had preferred the state issue a single ID. "Some citizens are under the impression they need one document to drive and one to fly," he said. "They just need one, A or B." The voluntary travel ID will have a black star on it to signify that it complies with the federal rules. Beginning Oct. 1, 2020, only people with the voluntary travel IDs will be allowed to board domestic flights or enter U.S. military bases. People with standard IDs after that date will have to show another form of identification, such as a passport. The new standard ID will cost $43 and the travel ID will cost $48, an increase from the current $20 price for a license. Both new forms expire after eight years. 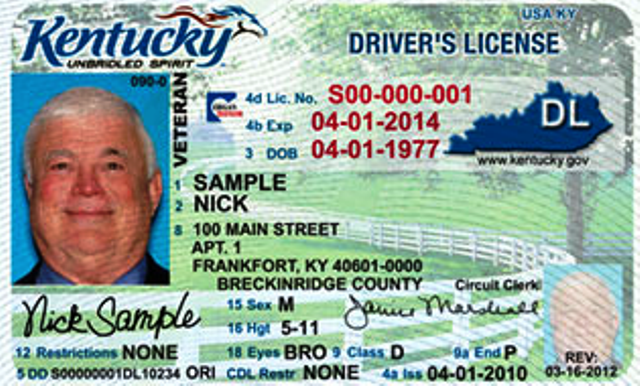 Kentucky will offer a standard driver's license or a voluntary travel ID. People can only have one. Both enable a citizen to drive, vote and apply for federal benefits. But beginning Oct. 1, 2020, only people with travel IDs will be allowed to board domestic flights or enter U.S. military bases. Kentuckians wanting to fly on a plane, enter federal buildings, or visit military posts will need a new driver’s license or identification card in the near future. Unlike most states, the commonwealth is out of compliance with the Real ID Act, a federal law that was passed in 2005 following the September 11, 2001 terrorist attacks. The law requires new cards with added security features, and a new process for how the cards are issued. The state legislature has again approved a bill to bring the state into compliance with stricter identification card policies required by the federal government. Gov. Matt Bevin vetoed a similar version of the REAL ID bill last year but indicated he supports it this year. The bill would create an enhanced driver’s license issued by the state Transportation Cabinet instead of county clerks offices. Those who opt out of the new license would need additional ID like a passport to board domestic air flights and enter military bases. 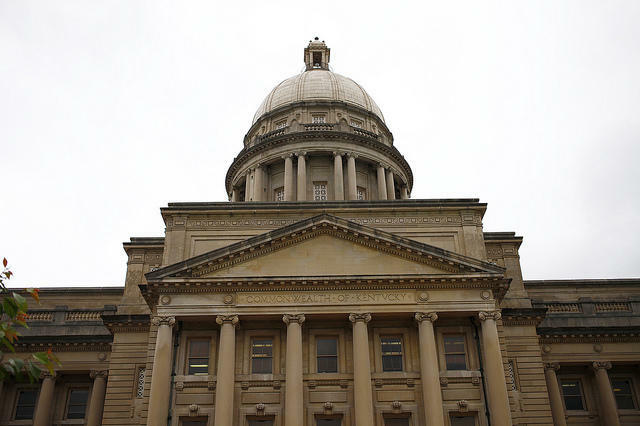 A bill that would centralize Kentucky’s driver’s licensing program and bring the state into compliance with federal ID card rules has received initial approval from a legislative committee. The General Assembly needs to pass the bill in order to meet stricter REAL ID standards passed by Congress more than a decade ago. 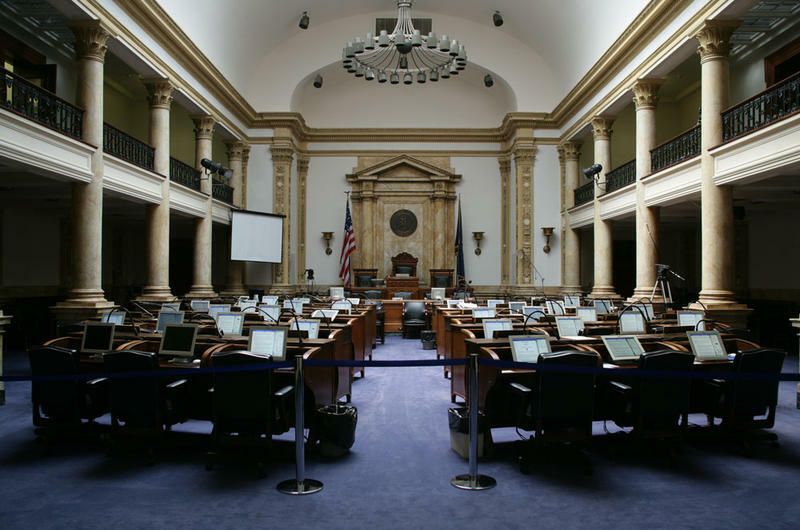 If lawmakers don’t pass the legislation, starting June 6, Kentuckians will have to bring additional identification — like a passport — in order to access military bases. And starting Jan. 22, 2018, Kentuckians would need additional identification to board domestic flights. Kentuckians can use their drivers’ licenses to enter certain federal buildings until at least June 6 after the U.S. government granted the state more time to comply with a federal law. Federal agencies, including military bases, were slated to stop accepting Kentucky drivers’ licenses by the end of this month because the state has not complied with the federal REAL ID Act of 2005. But the U.S. Department of Homeland Security announced Thursday it had granted the state an extension through June 6.